There is a misconception in the field of psychology that mom’s cause eating disorders and mental illnesses. We want to say a mom is too controlling and neurotic. We want to blame a family for being dysfunctional. Sometimes it seems easy to blame someone for suffering, but honestly, your mom, or your family, are not really responsible for your suffering eating disorder and mental hell. A lot of my clients with eating disorders have very loving and supportive families. I have yet to meet a mom that is neurotic, controlling, or manipulative. 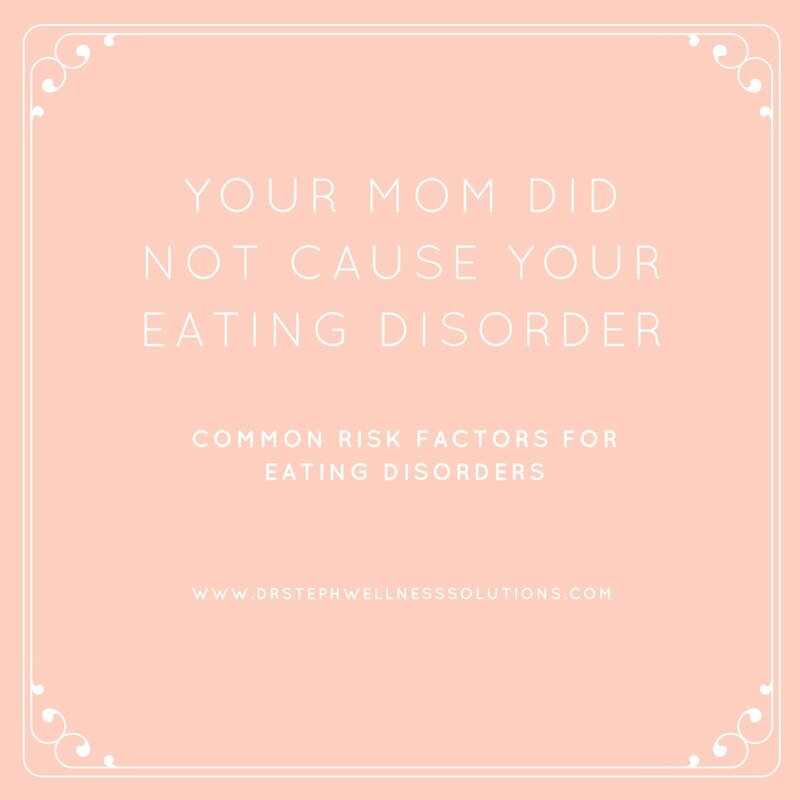 In other words your eating disorder is not necessarily your mom’s fault. Let’s look at some of the things that may be contributing to your eating disorder. There are several risk factors associated with eating disorders. You may be struggling and feeling ashamed and guilty because your family is so supportive and loving yet you are suffering. Perhaps some of these risk factors are to blame? There are also some biological risk factors associated with eating disorders. For example there seems to be a genetic link. 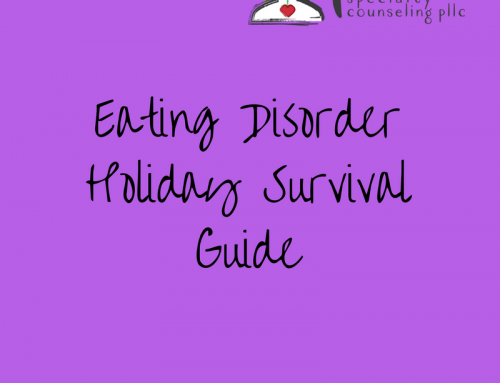 This means that if you have someone in your family that had, or has, an eating disorder you may be at risk for also developing an eating disorder. Social pressures are another risk factor for eating disorders. We live in a society obsessed with being thin. We fear “getting fat” and we are obsessed with what we eat and how we eat. These pressures to look a certain way convince you are not good enough and in order to be good enough you must be thin. The bottom line here is there is no evidence that your mom and your family made you sick. Furthermore the cause for your eating disorder is not always important. You do not need to figure out “why” to feel better. There is a way to get help to feel better without having to dive into your family relationships. This may be necessary to explore but relief comes from looking at your emotions and behaviors, and challenging your thoughts about your body, your food, and how you eat. * Dr. Stephanie Waitt, LPC is a psychotherapist in private practice in Sherman, Texas. 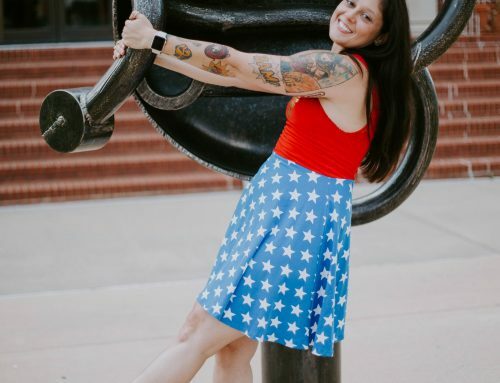 Stephanie works with young and successful women to help restore balance and peace. 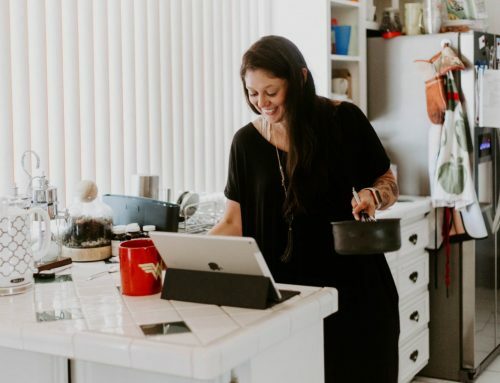 She specializes in working with individuals with eating disorders, trauma, anxiety, and depression.